Can A New Booking Site Put You Ahead of the Game? Users choose the duration of the hold, and don't have to commit to booking anything. There is, however, a utility fee. The longer the hold, the higher the fee: 1 day ($4), 3 days ($9), 7 days ($19), 14 days ($28), or 21 days ($36). This service is part of a new generation of OTA sites that encourage travelers to embrace the fluidity of air and hotel booking rates. Because these prices fluctuate a lot. Hotels, for their part, often lower prices at the last minute in order to sell off remaining inventory – this is why mobile booking apps like HotelTonight and Blink (Europe only) have been so successful . The emptier (and more desperate) the hotel, the better your chances of swooping in at the last minute and nabbing a cheap room. At Options Away, the process is somewhat similar. 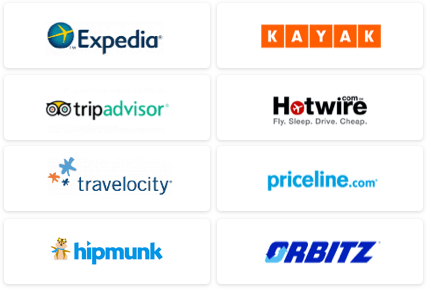 Rather than banking on last-minute discounts, however, the site is building its whole business around the simple fact that people like to make informed decisions, and want to feel secure that they're booking the lowest fare possible. Let's take a look at a more conventional search process: When you search a flight on Kayak, two built-in tools are at your disposal: the "Best Fares" window on the homepage, which analyzes average airfares by month (for example, if you are searching for a flight from Chicago to Los Angeles on January 15, it will show you all the "best" – i.e. lowest – airfares for the entire month of January). The second is the "Price Trend" matrix which appears alongside your search results, and tells you how confident you should feel about whether your chosen price will hold steady, fall, or go up in the future. With a fuller knowledge of the market, you are better able to adjust your expectations for how much your trip will realistically cost – or adjust your trip to snag a better deal. OptionsAway, on the other hand, lets you actually commit to a fare, and lets you rest easy that you aren't missing a great fare that's suddenly popped up in market. To use the same example as above, suppose you want to book a round-trip flight from Chicago to Los Angeles on January 15. Kayak will tell you the cheapest available flight is on Spirit Airlines for $198; over on OptionsAway, the fares are the same, give or take a few dollars (Spirit Airlines, $197). If you have the luxury of time, OptionsAway will allow you to lock in the cost of a trip for up to three weeks, risk-free, regardless of whether that airfare doubles, drops by $10, or stays exactly the same. 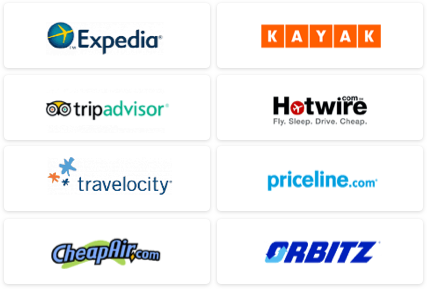 Whether or not you end up booking the flight on OptionsAway (or at all!) you have little to lose – only the "hold" fee – and everything to gain in terms of knowledge and buyer's confidence.